The southern Mediterranean lifestyle, where dinner is often served very late in the evening, could be putting people at risk from certain cancers. Sitting down to eat a big meal within two hours of going to bed could increase the risk of getting breast and prostate cancer, according to new research by the Barcelona Institute for Global Health. The study, published in the International Journal of Cancer, of nearly 4,000 people found that consuming food late at night causes inflammation in the body, and changes blood sugar levels, which have both been linked with cancer. Humans through evolution have eaten in day-light hours but modern life has altered eating patterns with demanding schedules and long commutes influencing the hours people dine at. Leaving more than two hours between dinner and bedtime, compared to sleeping soon after eating, slashes the odds of both cancers by an average of 20 per cent. 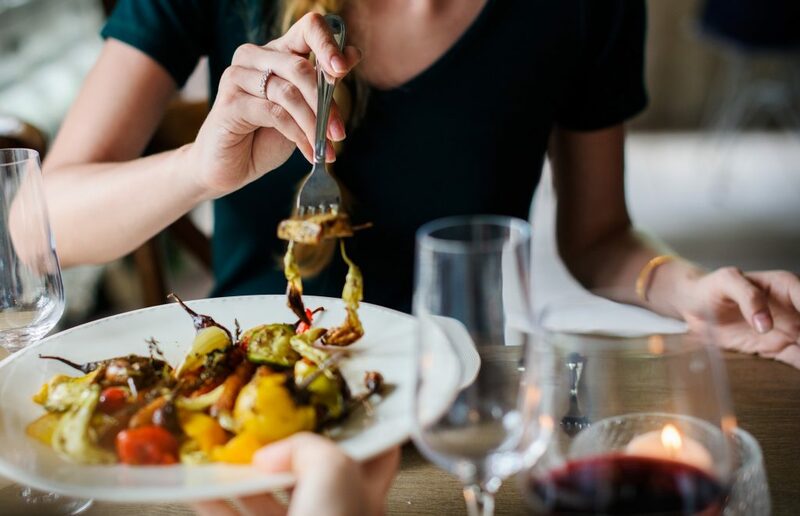 The study’s lead, Dr Manolis Kogevinas, said: ‘People already know that if they eat late and go to bed soon afterwards that they will not metabolise their food and won’t get a good night’s sleep. The Spanish researchers asked more than 1,800 people with prostate and breast cancer, and more than 2,000 healthy people about the timings of their meals and sleeping habits. Those found to eat at an earlier hour, before 9pm, were 25 per cent less likely to have prostate cancer and 15 per cent less likely to have breast cancer than those who digested a large meal at 10pm.